Taylor Deli is a restaurant that I've been following on social media for some time now after several friends recommended the place to me. They spoke of their amazing sandwiches, soups, burgers, and of course their pizza which is covered in their signature burned american cheese. Typically, I'm not a big burned american cheese guy, but after seeing their food on instagram week after week, I knew I had to pay a visit. The first lady of NEPA Pizza and I were passing through Taylor on Davis Street. I set the GPS at the stop light at Davis and Main and my GPS told me I was there already! I looked up and sure enough there was Taylor Deli to our right! What a great location! I knew I was probably in store for some good food, but I'm not sure what I expected in the building itself. With a name like Taylor Deli was it a traditional deli with a meat slicer out front and sandwiches to go? Would it be one of the new upscale convenience-type stores that are popping up everywhere? When my wife and I walked in, we were pleasantly surprised as the place was far bigger than we were both picturing and featured very generously-sized and very modern and comfortable dining rooms. We were greeted by the friendly staff and offered a table. I checked out the slice pies on display on the way by noting the plain cheese pizza slice with American Cheese that I was about to order. It was a little bit like those who pick out their own steak going into the Texas Roadhouse! 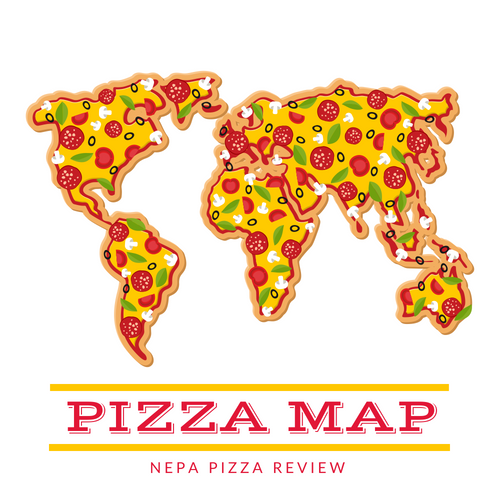 We sat down and looked over the vast array of menu items that we wanted to try, but had to narrow it down and I went with a chicken cheesesteak with mushrooms and my slice of round pizza. The cheesesteak was very good. A full 12" sub on excellent bread covered in sesame seeds. 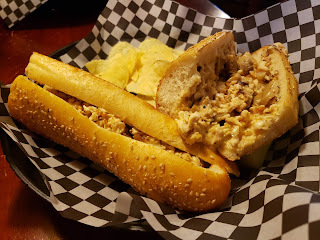 The melted cheese either melted perfectly and mixed with the oils and moisture in the chicken cheesesteak or Taylor Deli uses an awesome queso type of cheese on this sub. Whatever it was, it was really delicious! The first lady also enjoyed her sandwich, which as of this writing I do not recall what she ordered! I will say that the service was absolutely fantastic and super fast. A shout out to our server who was excellent. 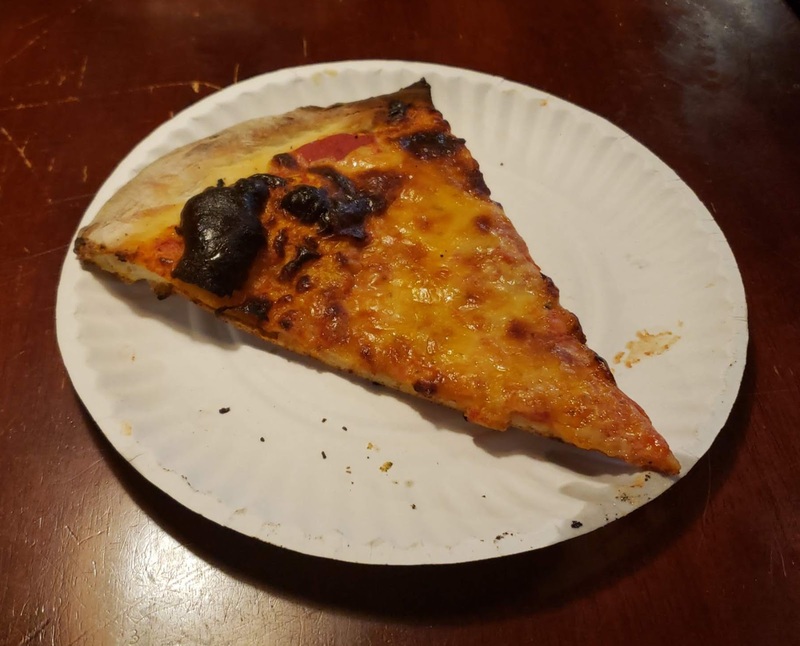 The pizza was constructed on what appeared to be a traditional new york style crust, with a typical sauce, and covered with American Cheese. When I took my first bite, I found this slice was a bit more than your typical pizza. The crust was actually quite complex. 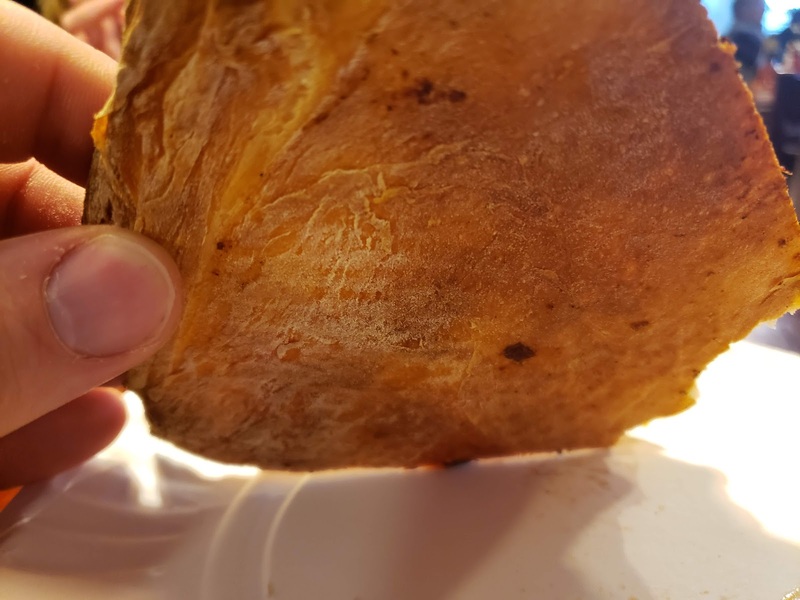 It was super crispy on the very bottom, but as the layers progressed, there were layers and layers of bubbles and air pockets which created a progressive lightness toward the middle and top from what was a slightly dense bottom. Just going off experience, I'd surmise they arrived at this complexity by cooking the crust and sauce first and adding the American Cheese later. 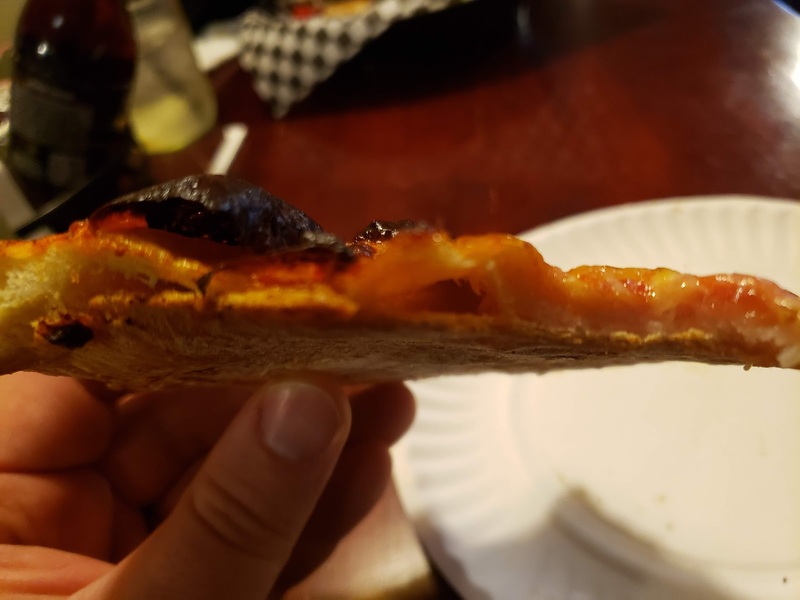 This provides the opportunities to pop bubbles and have texture variation without an obscene amounts of bubbles pushing the cheese off portions of the pizza. My theory was supported by the fact that with so many bubbles, there was still a very consistent and smooth layer of cheese on top. 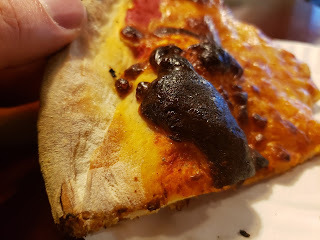 The sauce was quite flavorful and the american cheese actually really worked on this pizza. Overall, I think I may have prejudged both Taylor Deli's restaurant and American Cheese pizza a bit before arriving and that was a big mistake. The restaurant is immaculate and the pizza is actually quite good! The gourmet pizzas also looked amazing along with other items on the menu that I can't wait to try next time. 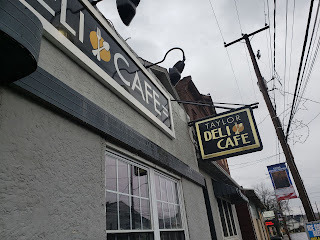 I would highly recommend Taylor Deli, especially for lunch because the service is so fast, but don't leave out dinner because the dining room is so nice you can have a casual date there. So have you been to Taylor Deli yet? What did you think? Let me know in the comments!